Nice house in desperate need of a landscaping plan. 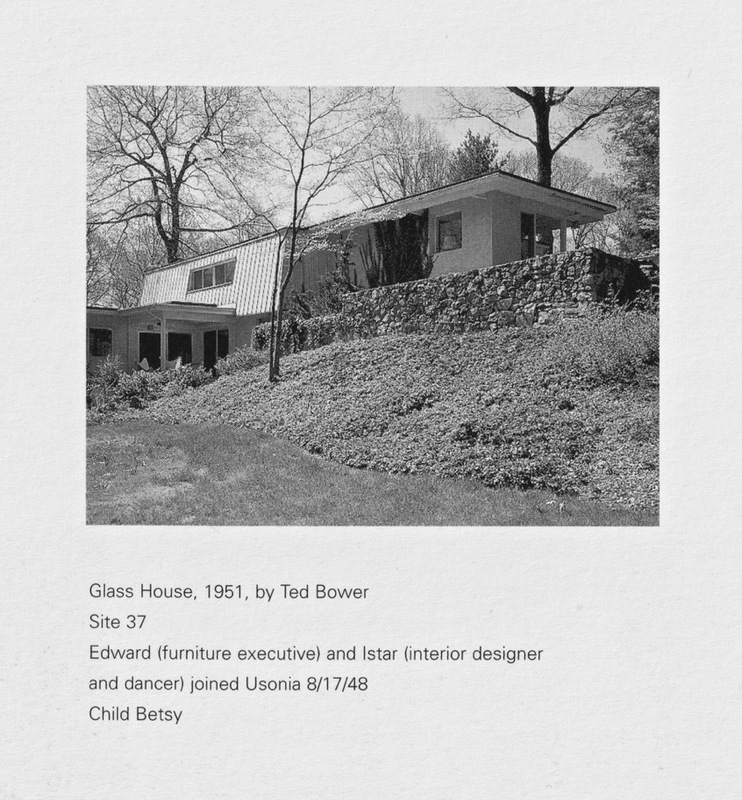 Interesting... the only house I'm aware of by Bower in Usonia was a much smaller house incorporating a similar domed section as the primary element. Bower had a successful career, but the house frankly, was a more experimental in nature than satisfying first work (?) by this contentious apprentice. 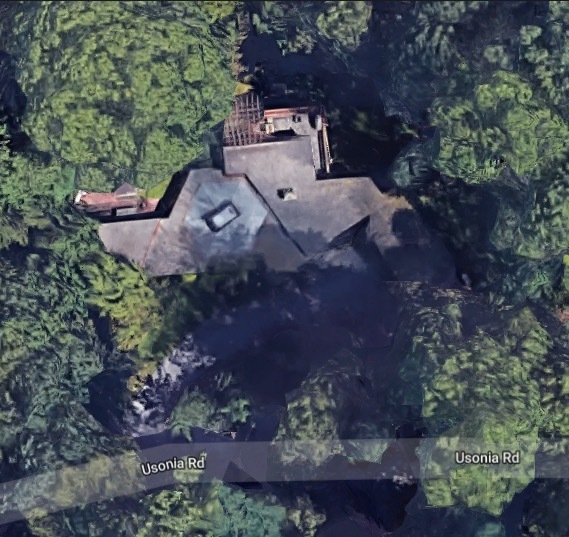 If this is the same house, the additions could have been made by Bower much later or possibly even by someone else. 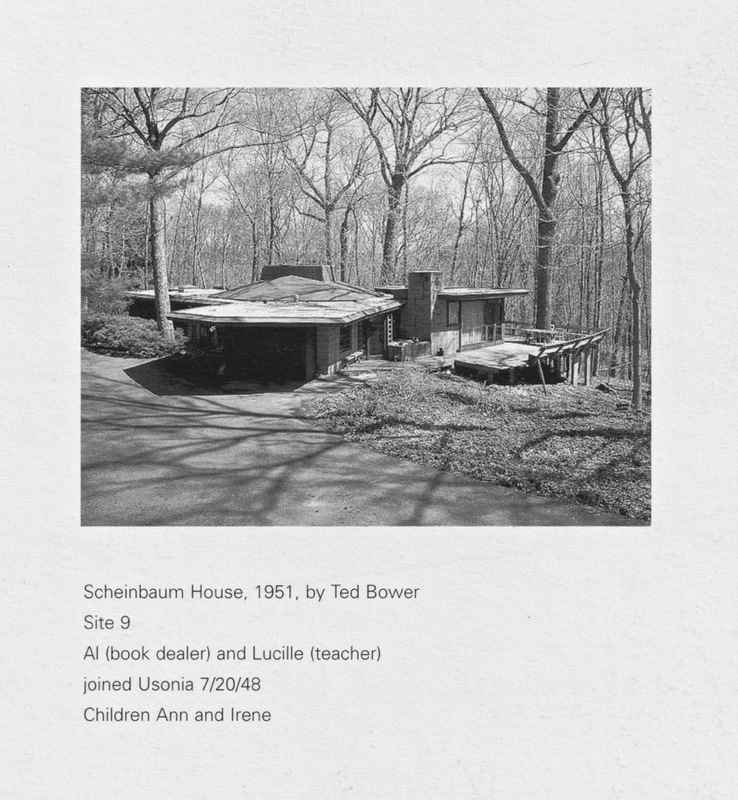 The greatly expanded Scheinbaum House looks fine, but in so doing, the signature element of the original house is reduced in stature. I would count that as a flaw. A similar situation obtained for the Sondern House when Adler expanded it: A perfectly orderly plan became confused. 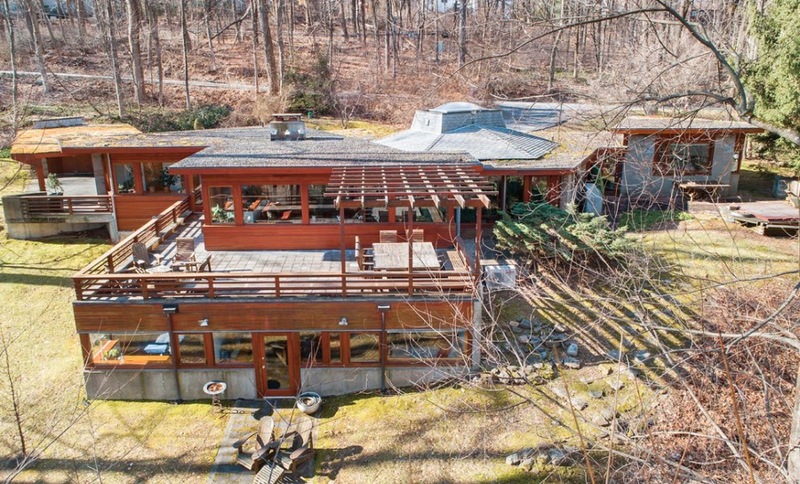 Had Sondern asked Wright for a house the size of Sondern-Adler, FLW would not have designed what ultimately became of it. A case of 'leave well enough alone.' A similar thing happened to both Keland and Rayward-Shepherd.
. . . or, failing that, build a detached or semi-detached structure on the property, in a sympathetic grammar or vocabulary (I'm still confused by the terminology). Sadly, that doesn't happen very often . . .
Hanna, Davis and Wall seem to have done a good job of expanding without interfering with the original. Sondern probably would've been an impossible house to enlarge gracefully. Yes. We might draw a distinction between those houses enlarged by Wright, by TAA, and by others---but Wright did the deed at Sondern, and look what it got us. A very similar scenario obtains at Rosenbaum, I guess ? hill side of the structure match what's seen in the new photos.